Truth by Kbaig: Poverty One of the Causes behind Terrorism; Should be Checked to Counter Terrorism..! Poverty One of the Causes behind Terrorism; Should be Checked to Counter Terrorism..! The start of Zarb-e-Azb had made it clear that Army has decided to uproot the monster of terrorism and will not rest until the end of terrorism in motherland. Of course army exercised extreme patience despite of uncountable loss of lives hoping that militants challenging the writ of the state might repent but terrorists considered this either as weakness or cowardice of Pakistan armed forces; they became threat to the geographical boundaries of the motherland. But here the question arises that only army is responsible for the geographical and ideological boundaries of motherland? Army can crush the terrorists but govt. is responsible to curb the reasons behind the terrorism. If rulers are of the view that operation would end the terrorism, peace that would be established as a result of the armed forces action would last forever without taking care of the reasons for the terrorism; might be a sweet dream but not a reality. Leaving lawlessness and terrorism aside in which role of external powers is not a secret anymore; but what should be said about economic and social injustice that has become a cancer for the society? No department is secure from this evil. State is the name of the collection of the different classes divided in rich, middle and lower class. That is why in today’s democratic system state is made responsible for the education, health and safety of its subjects. Under this system public is considered the source of power; provision of justice, security and employment, is responsibility of state. But in Pakistan standards of justice are different for rich and poor. Rich get the justice without asking for it but poor fear asking for justice as the might have to pay the fee which they cannot afford. If one considers the education sector; in the same way, country has separate curriculum, separate schools and separate education for poor and rich. Education of rich ensures secure future and employment. Moreover, security is only for the rich. Despite of fortressed residents; LEAs i.e. Police etc. are to protect wealthy and elite class only. Whether it is dictatorship or democracy poor are getting poorer and rich are getting shortage of coffers to keep their wealth. When elected representatives will deny basic rights to public after coming into power then how one can dream of peace or stability in the country? In Pakistan on one hand we have so-called development while on the other hand monster of inflation, unemployment, bribery and corruption has been added into the national life as a basic part. 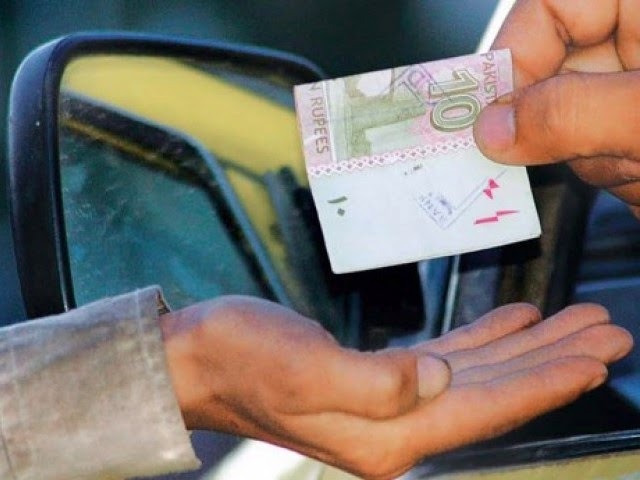 This has resulted into the production of such a class of professional beggars devoid of self-respect in the society which has either overpowered the law or due to the indifference to the national problems by those responsible for enforcement of law they are not ready to accept the bitter reality that criminals and terrorists are also hiding among these beggars. With the start of the Holy month of Ramadan a flood of professional beggars is observed; people pay alms and Zakat in this holy month but due to these professional beggars poor who really deserve financial support are ignored as they do not beg due to their self-respect. Professional beggars exploit the sentiments of people in this holy month at Bazaars, shopping malls or outside departmental stores. Especially women shopping along with children become target of these professional beggars. Sometimes these beggars point out women to the purse snatchers and involved in street crimes. These street crimes like purse snatching, mobile snatching etc. neither are reported nor Policemen deployed on security duty in markets get pay any heed as well. In most of the cases those who report these street crimes have to bear the traditional criticism of Police. Moreover, involvement of beggars in armed robberies or burglaries in residential areas has been reported as well in which these beggars perform “Recce” and provide information / point out those houses where women are alone in the houses to robbers. 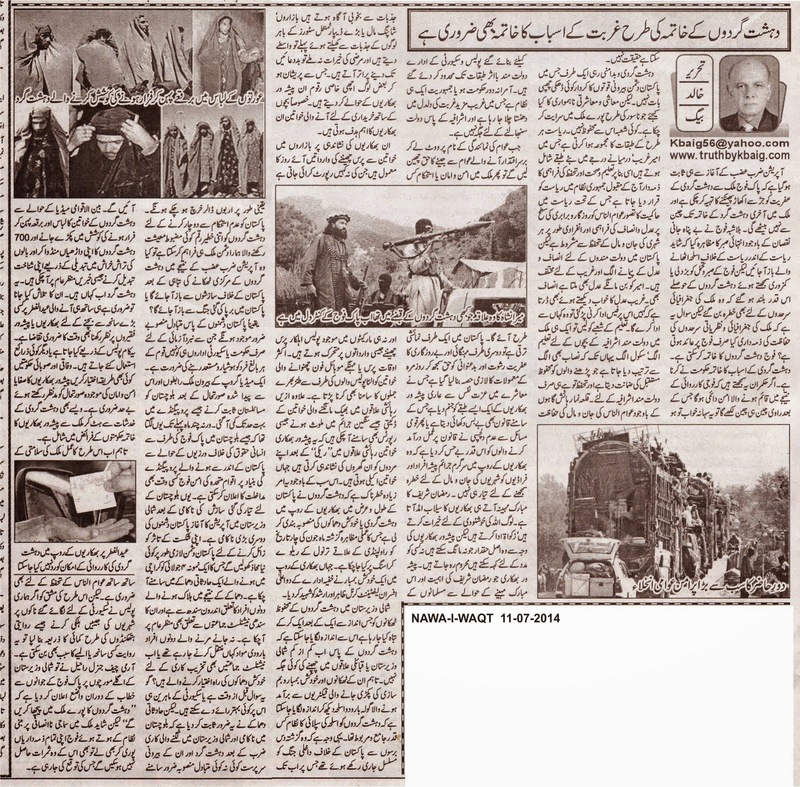 All this aside; this matter is of grave importance that terrorists have planned to target public in the disguise of beggars; a practical demonstration had been already witnessed on 04 June 2014 at the Tarnol Railway Crossing Rawalpindi in which a suicide bomber disguised as beggar targeted two officers of a secret agency, Lt Col Zahir and Arshad. 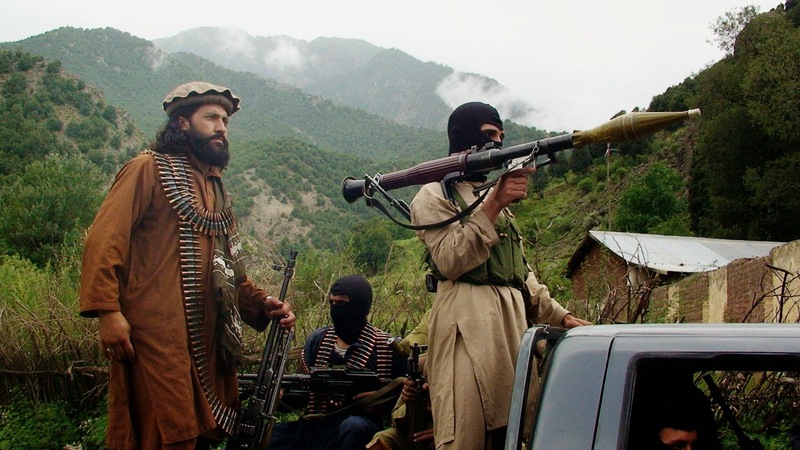 In the way the hideouts of terrorists are being destroyed by Pakistan army in North Waziristan it is evident that terrorists are unable to find any hide out at least in North Waziristan or Tribal areas but the weapon manufacturing units and weapons recovered from North Waziristan make it clear that supply system of terrorists is well organized. Due to this supply system terrorists continued their terrorist activities in Pakistan for last on decade. Of course this supply system and latest weapons would have cost billions. Such a big amount can be only provided by some country having big and stable economy. So such an enemy of Pakistan who invested billions for terrorism in Pakistan would stop her conspiracies or war against Pakistan after destruction of central hideouts in Tribal Areas? Of course, enemies of Pakistan would have planned substitutes as well; not only govt. or security agencies but every Pakistani will have to keep his eyes open in order to tackle this situation. Terrorist Attack under the Garb of Beggars Cannot be Ruled Out!!! The links of a media group with foreign powers and the situation that was created by this media group it was being perceived that Pakistan is the center of the problems, however, after temporary ban over this media group situation has improved to some extent. Few months ago it was being perceived that as the result of the propaganda of this media group regarding violations of human rights in Baluchistan; UN peace keeping army will invade Pakistan any time. In this way after defeat in the conspiracy regarding Baluchistan; the launch of operation against terrorists in Northern Waziristan is another blow to the foreign powers sponsoring terrorism in Pakistan. Of course; enemy would start new fronts of terrorism for their damn goals. A glimpse of enemy substitute plans can be observed from an accidental bomb blast on 04 July 2014. Two persons involved in the bomb blast belonged to a nationalist Sindhi party. God knows where these two persons were transferring explosive material or Sindhi nationalists are also playing in the hands of terrorists and foreign powers? Although this question can be answered by security experts; however, this accidental bomb blast had further strengthened the concerns that after defeat in Baluchistan and Operation Zarb-e-Azb terrorists and their foreign funders are planning substitutes. 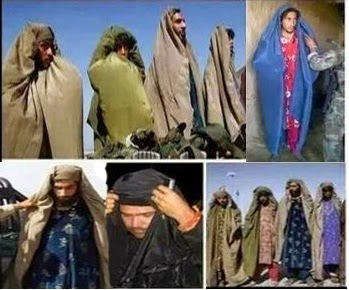 International media has the reports that terrorists were trying to fly away disguised as veiled women and 700 terrorists have shaved their beards in order to disguise as general public. Where are these terrorists now? Their search is important as well as keeping an eye over beggars is also inevitable in order to avoid any untoward incident on this Eid-ul-Fitr. Whether this is to be done by Police or some other force; controlling and ending beggary is the need of the hour to improve law and order situation. Besides concerns of terrorism; removal of professional beggars is the duty of the elected govt.